A project for an Information Graphics class on a "How To" design. 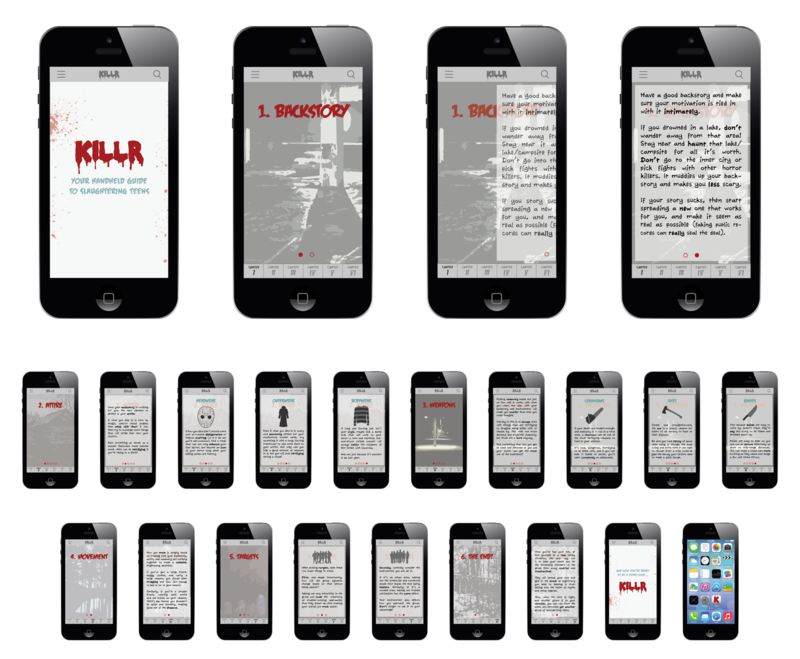 I chose to make an app for newly deceased people destined to become horror movie killers. Instead of a book/manual being left in their space like in Beetlejuice, there would be a new app icon on their phone, which would open this app. Everything was written and illustrated by me. Photography was pulled from various artists and then treated by me to look more similar look/feel.